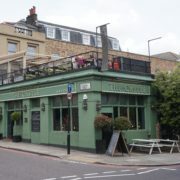 A short walk from Angel station, standing proud at the top of Pentonville Road and with possibly the finest roof terrace in all of Angel – where better to shelter from London’s hoards while fortifying yourself with some delicious treats? 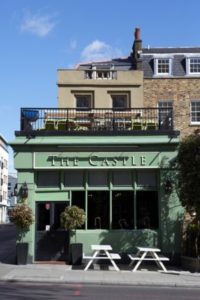 A relaxing retreat in trendy, bustling Islington, The Castle on Pentonville Road, a cracking little pub, is always welcoming. Whether soaking in the sun on the amazing roof terrace, or avoiding the rain on a comfy sofa – our real ales, great beers or a glass from our wine list chosen by our own master of wine, sets you up just nicely. At lunch it’s freshly made sandwiches, salads and British classics, and in the evenings- the daily changing specials fill up those watching sport on tv, shouting out the answers to the pub quiz or just relaxing with a pint. 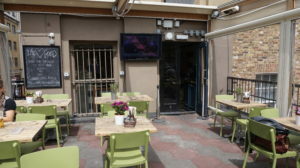 AquaLite Outdoor TVs are made in 26” 32” 42” 55” 65” 70” 82” screen sizes and are designed with stylish weatherproof casings, waterproof cables and connections, 6mm toughened glass. An anti glare film and reflective coating for high visability outside in broad daylight and bright sunlight. The AquaLite LCD, LED, HD TV screens, panels and monitors deliver crystal clear digital images in all weather conditions and any environment: rain, sleet, snow, ice, high humidity, low humidity, heat, sunlight, dust and even insects. Ordinary indoor TV screens are not robust enough to withstand the damp, heat and dust and simply placing the screen in some form of weatherproof container or enclosure can hamper the picture quality or restrict viewing angles. The Aqualite range of outdoor display screens can withstand the extremes that a European summer can produce be it bad weather or good weather and also gives viewers the very best viewing experience. Kim Menen explains that, “”A common problem with taking indoor TVs outside into direct sunlight is the affect on viewability and readability. Even indoors, I’m sure most people have experienced the annoyance of sun glare while watching TV at some point on a hot afternoon but the problem is many times worse outdoors. Whilst all the AquaLite Outdoor TV screens are coated 4 times with anti reflective coatings on both sides of the glass, glare can never be totally removed. Midwich has expanded its portfolio, signing deals that cover Aqualite’s outdoor TV displays and Toshiba’s business display screens. Aqualite’s range of IP66 rated weatherproof displays is comprised of 32, 42 and 52-inch size formats with a choice of either LED or conventional backlighting. All screens are fitted with anti-reflective glass, concealed USB and SD inputs, twin digital and analogue tuners, waterproof cable entry system and waterproof speakers. 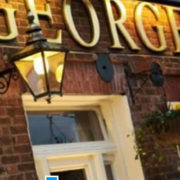 Lee Baker, business manager at Midwich, pinpointed pub beer gardens and other outside venues as target markets for the company. Midwich claims it has specified and priced the products specifically for resellers to grasp opportunities presented by the summer sporting calendar. Midwich will also distribute Toshiba’s Stasia and Regza LCD displays. Baker said he was “delighted” with the exclusive deal, adding: “These products are ideal for business, education, leisure and hospitality applications”.